Tickets are selling fast for the chance to experience the 1,000ft long Labyrinth Challenge which takes place at Newcastle Racecourse on June 24 and 25. 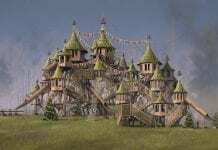 But there’s more in store than just the huge obstacle course, with an Inflatable Village of fun to explore with 20 attractions for the whole family. 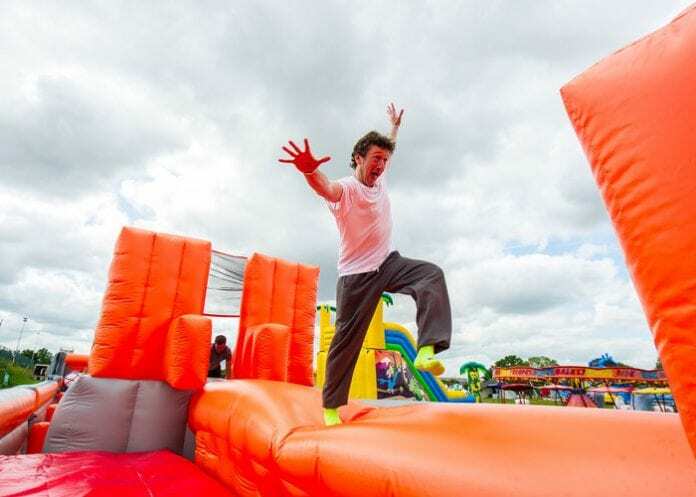 While the Labyrinth Challenge course features five zones and more than 30 obstacles for teenagers and adults to tackle, the Inflatable Village includes a mini course for the under 12s and even a section for the under 5s. The Inflatable Village also features laser tag, crazy golf, soft play and bouncy castles, plus refreshments and much more. “We can’t wait to hit the road and bring the Labyrinth Challenge and Inflatable Village to the North East. “The Village is an essential part of the weekend, extending the excitement so that everyone can experience the inflatable thrills and spills without having to test themselves on the main course. The Labyrinth Challenge course and Inflatable Village are also available to hire for exclusive corporate use this Friday, June 23, for between 50 and 2,000 people. Tickets to the Labyrinth Challenge start from £15, with wristbands for the Inflatable Village priced £20, while combination tickets for both attractions cost £27. Spectator entrance costs £2.50. Tickets are available now online at www.thelabyrinthchallenge.com. Visit @thelabyrinthchallenge on Facebook and follow @Labyrinthcourse on Twitter. I Love Newcastle Magazine would love to hear your thoughts about the above post, so please feel free to share them in the comments box below. We are I Love Newcastle Magazine - An independent dot-com organisation that was born in July 2014 formed in the midst of economic recession with extreme austerity measures, affecting everyone in the North East through one way or another.